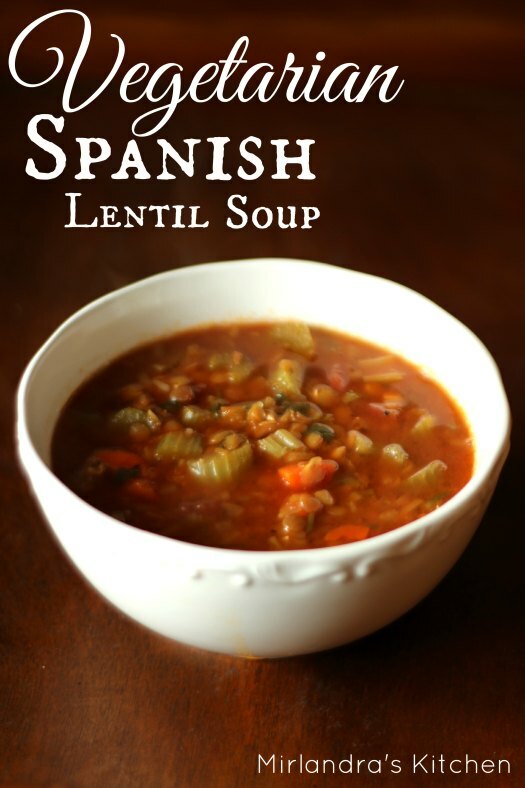 Delicious and rich with flavor, this Spanish Lentil Soup is hearty and packed with protein. It’s easy to throw together, cheep, and freezes well. The winter weather has set in but good around here – we even had a pretty significant snow storm. When the weather gets that cold I know it’s time for a hot, savory bowl of Spanish Lentil Soup. The spring I turned 20 I was living in the North of Spain with a wonderful artist named Isabelle. Every day I would walk 45 minutes each way up and down a giant hill to my classes at the University of Cantabria. When I got home at 2pm for the giant midday meal I was totally starving. On cold, rainy days I usually came home to a piping hot bowl of lentils that hit the spot perfectly. Food is a an amazing tool to bring people together. It transcends language and culture. A carrot is a carrot the world over. 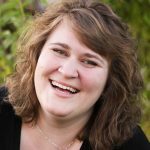 Isabelle and I started out as strangers but it was in the kitchen that we became close. The ingredients are crazy cheap and most people love it! It is also perfect for people who have various food restrictions. It is gluten free, dairy free, vegetarian and low fat!!! Last weekend I made it for friends who needed a meal brought over with just such restrictions. I delivered it with rice crackers and it was loved. If I’m not worried about food restrictions I use a Better than Bouillon Chicken Bouillon and toss in sausage or ham. This also goes great with crusty French bread. When you make this you will have leftovers unless you have a family of about 10! Freeze the extra in quarts for a sick day or to take over when friends are sick. Enjoy! Note: Not all stores carry a full line of Better than Bouillon products. Sometimes Costco has it and I also found it on Amazon. This recipe is participating in the Weekend Potluck! Delicious and rich with flavor, this Spanish Lentil Soup is hearty and packed with protein. It's easy to throw together, cheep, and freezes well. Put the water in a large pot , cover and bring to a boil on high. While the water is coming to a boil, peel the carrots and cut in half the long way. Slice the halves into thin half moon shapes. Clean and chop the celery into half moon shapes of a similar width. When the water comes to a boil add the carrots, celery, parsley, lentils, dehydrated onion, black pepper, bouillon, and liquid smoke. Bring the soup back up to a boil and then turn down to a simmer with the lid cocked. From this point it will take 30-45 more minutes to cook. Put the olive oil into a small frying pan over medium heat. Add the paprika and stir with a spatula occasionally until it starts to bubble vigorously. When it does, stir for about 30 seconds and then add the paprika / oil mixture to the soup. Dump the cans of tomatoes in. If you don't like large chunks you can snip the tomatoes into smaller pieces first with scissors. The soup is done when the lentils melt in your mouth and the celery and carrots are tender. Check for salt also. If you want a little more add some more bouillon or some salt. This is a big batch. I make it for the two of us and freeze it in quarts. You can also make 1/2 the recipe if you prefer. I’m curious about the dehydrated onions. Is this to save time or does it actually taste better? They taste wonderful but a fresh onion would be great too. You could add 1/2-1 regular onion (chopped) when you add the other veggies. Of course, I might saute it a bit first… Either option is good, both a little different. Have fun experimenting! Delicious! I made this for a potluck and it was a big hit! I added corn and yellow bell peppers for some added color variety and included just a touch of ground rosemary and oregano. Seasoned with smoked salt that really complemented the liquid smoke and smoked paprika. Wonderful! I am so glad! I bet the corn and bell peppers were wonderful. Yum. This was absolutely delicious! I used 1/2 smoked paprika and 1/2 regular. The smokiness of the paprika with the liquid smoke was beautiful and smelled SO good. I made a few small changes: I added a sweet potato since I had it on hand, about 15 minutes before it was done cooking. I used fresh onion and added some garlic. Also, though I usually LOVE tomatoes, I would say the soup was better before I added the tomatoes. I ended up picking a lot of them out because the flavors were balanced without it. I lived in Spain years back and have always craved this soup ever since, but I went vegetarian a year ago. This is definitely a great substitute without the chorizo! Oh sweet potato would be wonderful in here! I lived with a family in Santander, Spain forever and a day ago. This is very much how she made her lentil soup. I miss it and long to go back!